Hillary knew Alinsky personally and learned from him. She was offered a job by one of his colleagues but turned it down. Alinsky’s Rules for Radicals is dedicated to the first rebel — Lucifer! 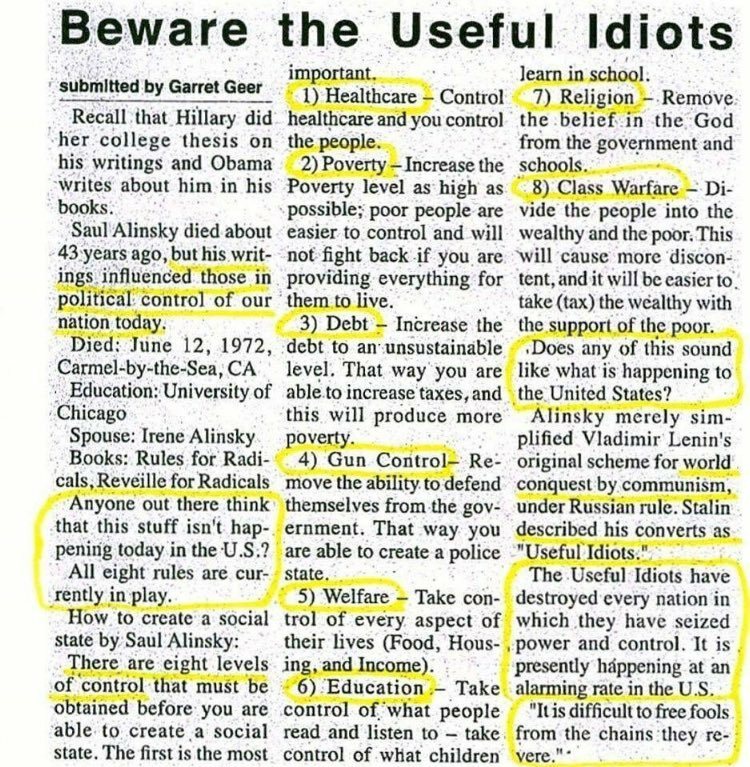 Obama taught Alinsky’s strategies as a community organizer in the streets of Chicago. They seem to be close to achieving their goals.